Let me tell you another reason I did not visit many cultural sites in Kyoto. 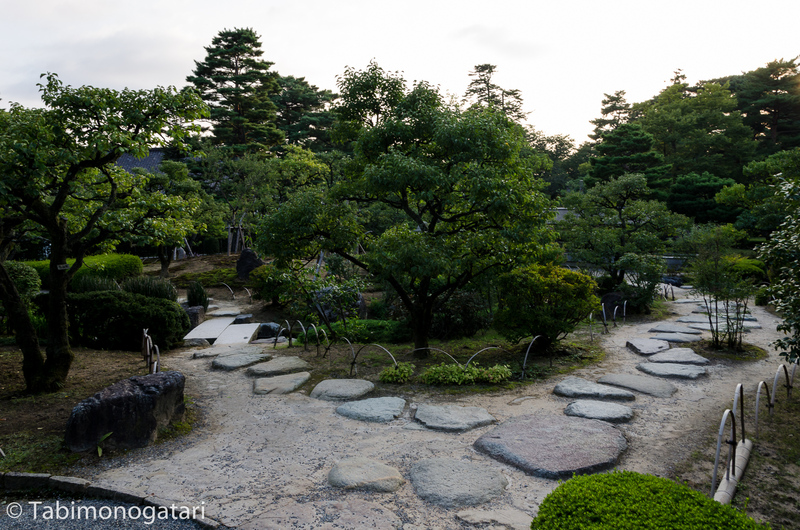 Kanazawa has many too and they are way more enjoyable to visit. 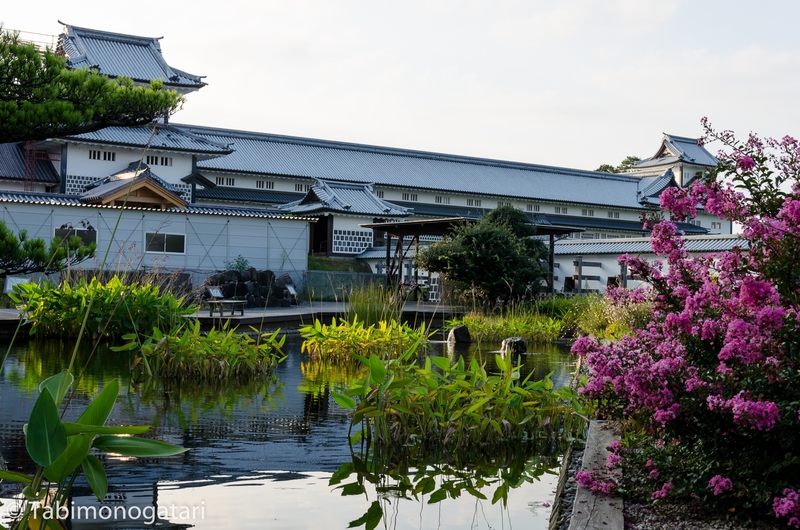 I was surprised to see that Kanazawa is such a nice place to stay at, I certainly need to come again. From Osaka and Kyoto runs a direct connection to Kanazawa, at the Western coast of Japan. The true interesting parts of the city lie beyond the station area. The city has no streetcar or subway, so renting a bicycle is a great way to get around here. The city rents some, but I could lent one at the place I stayed. Not too far from the station lies the guesthouse Pongyi. Reading about it in my travel guide first I decided to stay there soon after. Staying there was a very unique experience and I look forward to go there again. The Japanese style guest house offers only about eight sleep places, which is great since that way we got to know each other better. The owner, a Japanese woman, was very nice, skilled in English and provided me with a map and tips for sightseeing. This time I stayed at a shared dorm room again. The house used to be a kimono shop which is still kept in the traditional Japanese way with tatami floors and sliding doors. Then I went out, and started exploring the city by bike. Driving like this was a very different experience compared to the last two weeks. 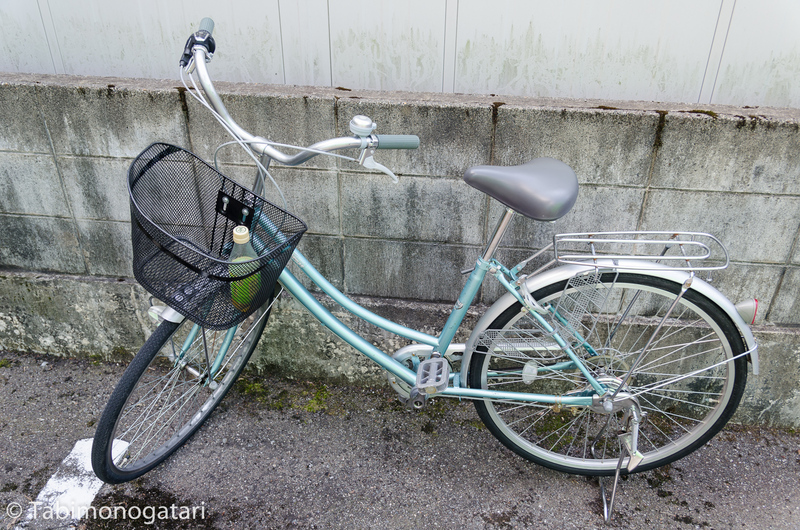 The bike had no gear and the brakes were squeaking which made it a bit more let’s say adventurous with the traffic in Japan being on the left side. In Japan cyclists are supposed to use the sidewalk, there are no bike lanes. But it was also relaxing at the same time. 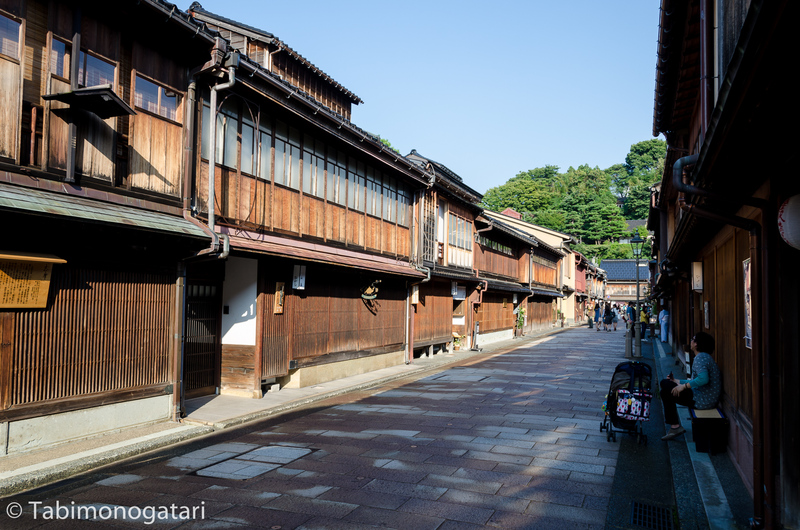 Most of Kanazawa consists of small one-way streets since they are so narrow. Leaving the bigger streets and diving into the neighbourhoods I felt like I left for a whole different place. Being used to the busy traffic, commute and noise it was so relaxing driving around for the two half days I was there. 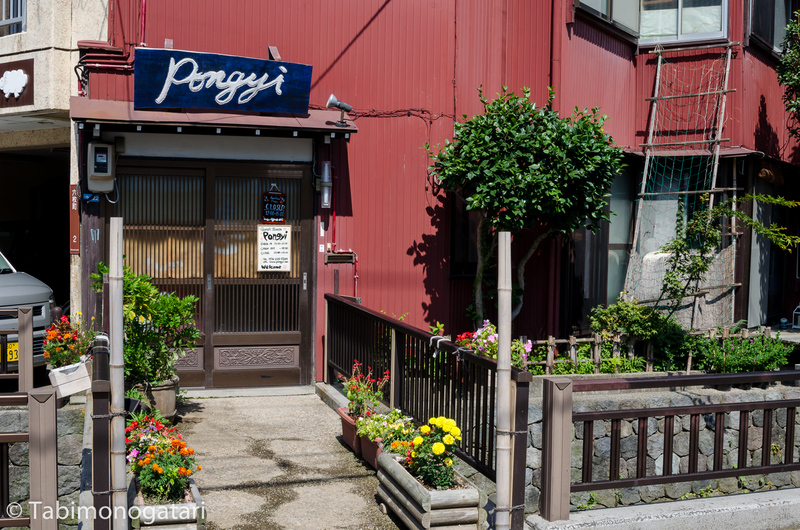 Surprisingly quick I found the first place I wanted to visit, the Higashi Chaya district. Entering the streets I felt like travelling back several centuries. 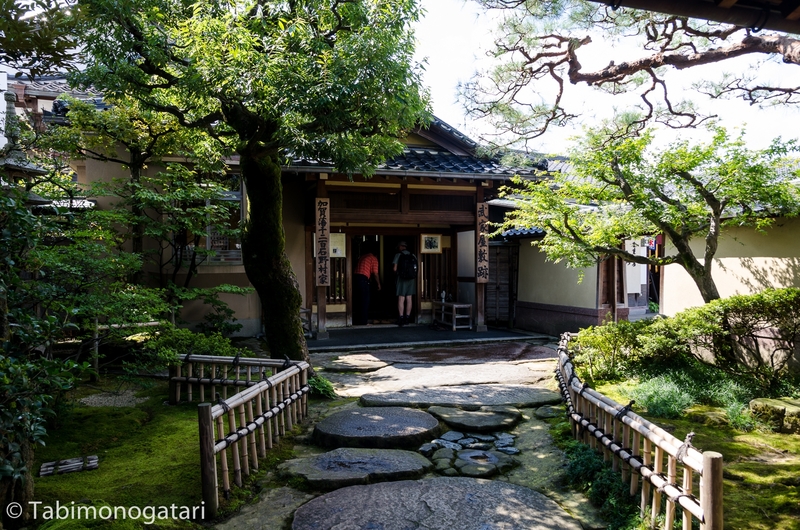 The shops were all well-preserved and it was so quiet, in strong contrast to Kyoto’s Higashiyama district. 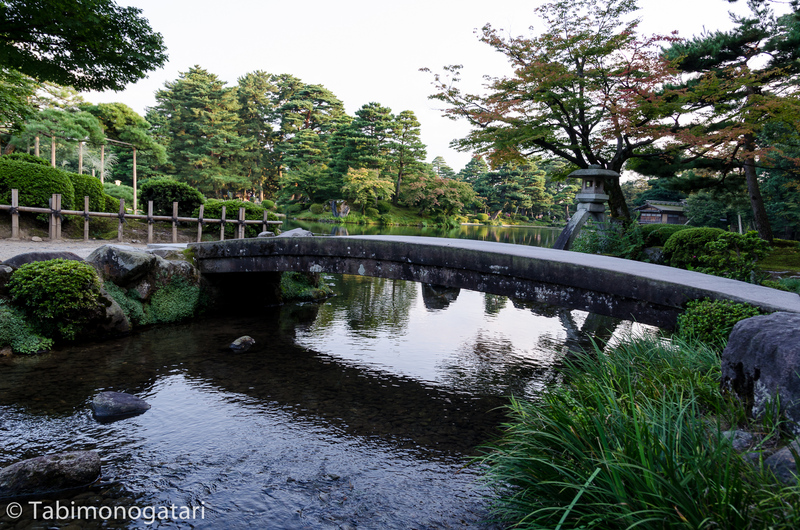 Next, I made my way to Kenroku-en, one of the most beautiful gardens in Japan. 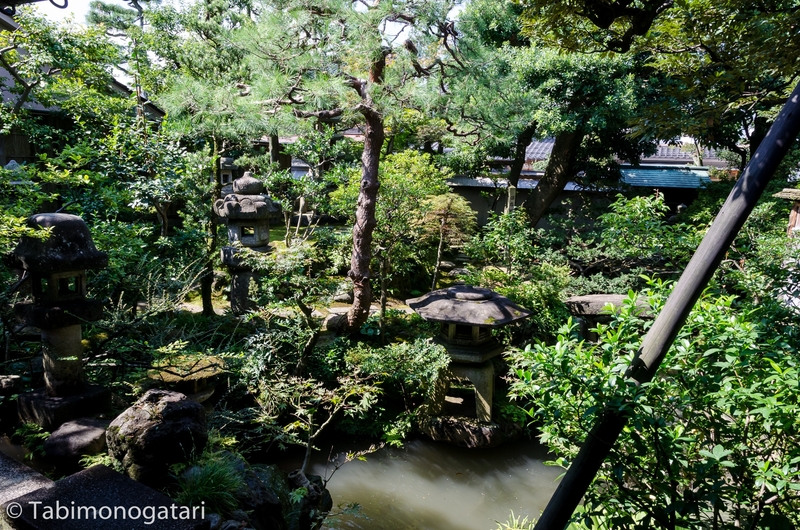 The garden contained all kinds of scenery on a wide area. Later, I found a store called “German bakery”. Apart from the name there was no relation as they sold all kind of Japanese buns. For breakfast I picked up a Hakodate melonpan, filled with melon cream. Before leaving I asked for a recommendation for dinner. In the downtown I found the proposed sushi restaurant Ippei. 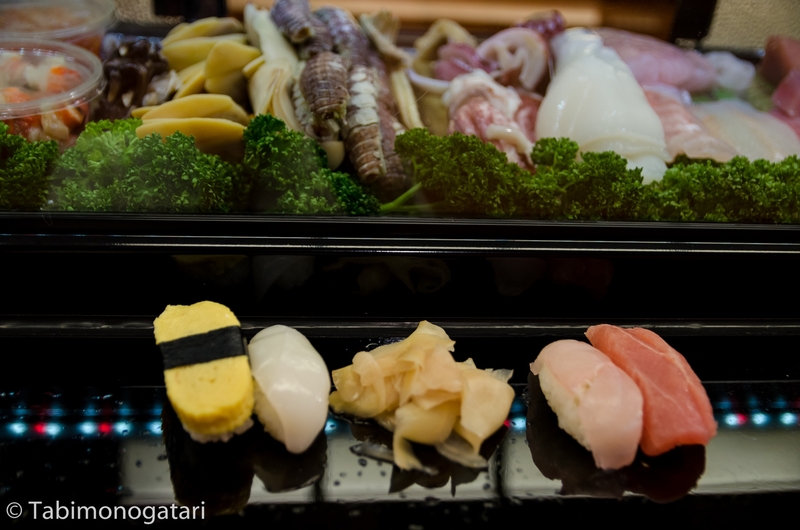 At the small counter-style restaurant I ordered a Nigiri set menu which contained eight carefully made pieces which were served directly on the black granite counter. “It is fine to use the hands to eat, it’s easier after all.” the middle-aged woman behind the counter said. What followed was a Japanese/English conversation about Skiing, Sushi and Switzerland. She showed me a picture of a vacation trip to Zermatt. Of course, I continued ordering sushi and sipping hot tea in the meantime. Later two foreigners in my age showed up and we also talked a bit about our trips so far. The girl from California and the boy from Korea are both learning Japanese like me, so we tried to keep the conversation entirely in Japanese, which was pretty fun. Wishing farewell I found my way back to the inn unharmed. 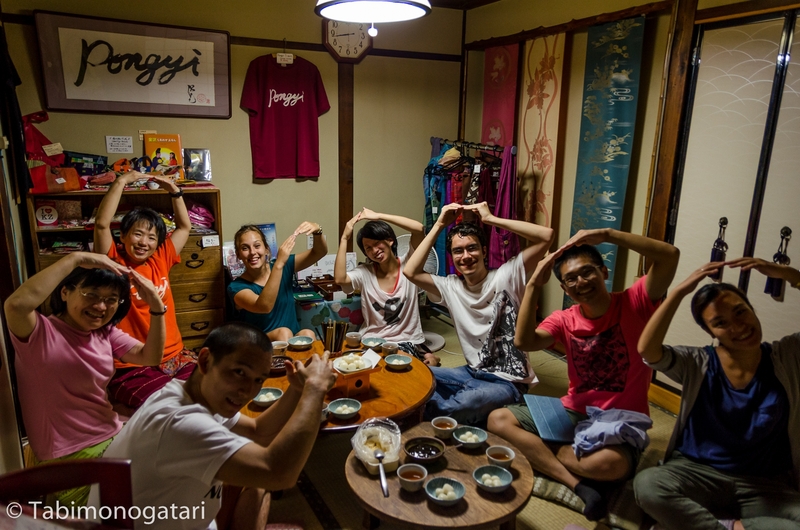 When I came back I was introduced to the other guests, both Japanese (Osaka, Aomori, Gifu-ken) and foreigners (Paris). Soon after another two faces showed up. To our all surprise the two from the Sushi place were staying at the same place. None of us thought about asking about where we stayed. It was a funny surprise. The people from the inn do different activities from day-to-day to make the stay more fun for everyone. 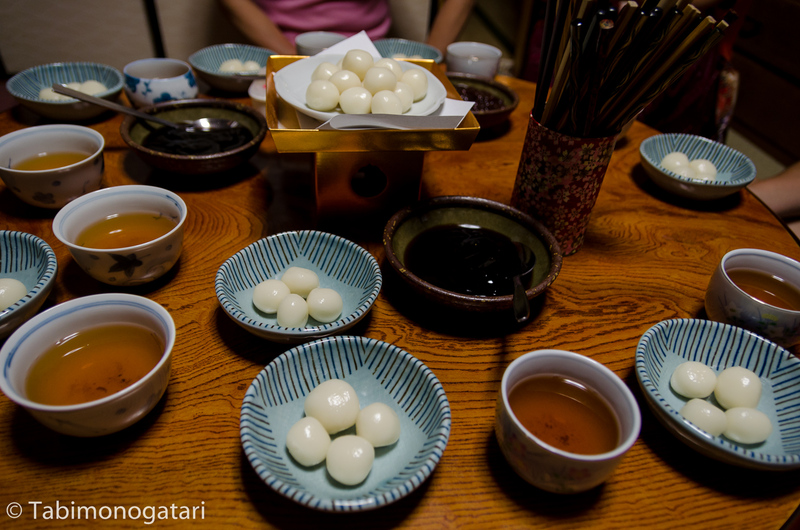 Since it was full moon and the date was a special one according to the Chinese calendar we all made Dango together. It was great fun cooking together and eating them together at the table. In the end, we played scissors-stone-paper to decide who would get the last piece. Doing so we learned how the game was called in different languages. Especially in Korean it sounded very funny. The next day I continued my expedition-like trip. Another well-preserved district was not too far by bike. There you can visit a house which belonged to a Samurai once. It was very interesting to see the luxurious rooms and especially the garden. 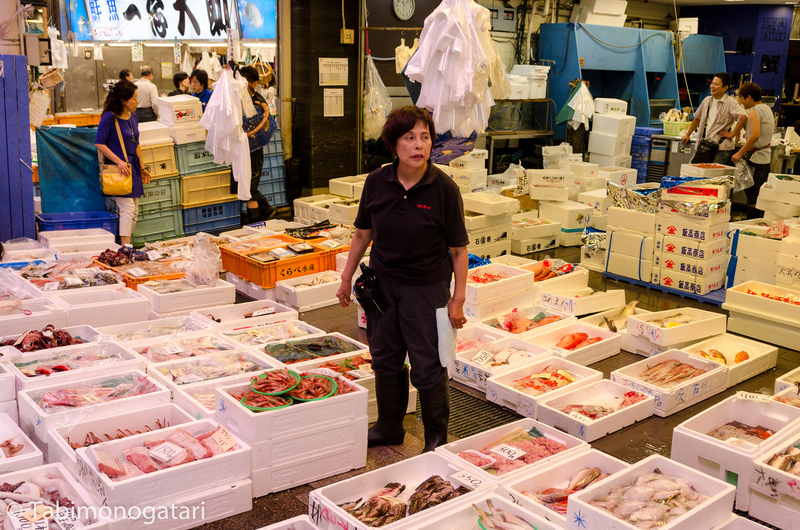 For lunch I headed to the Omi-cho market, the local market of the city. 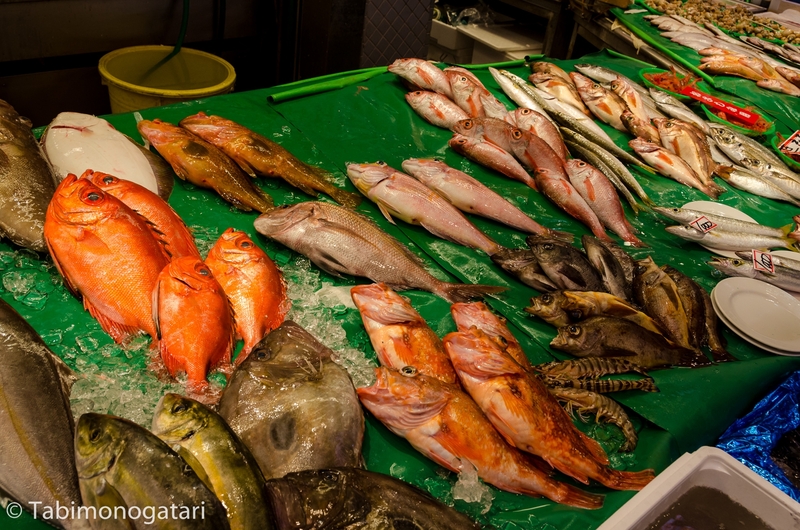 Like many coastal cities Kanazawa is proud of its fish. Since I had Sushi already yesterday, I visited a ramen restaurant in a side-alley. Again the place was small but decent. Ramen must be enjoyed in a small stall where you can watch the chef preparing the dishes I think. There are countless styles of Ramen, each region has its favourite. Tsukemen Ramen was on the menu so I went with the quite recent invention of a chef in Tokyo. The cold noodles are dipped into a bowl of hot broth. Also had some Gyoza as they go great with it. 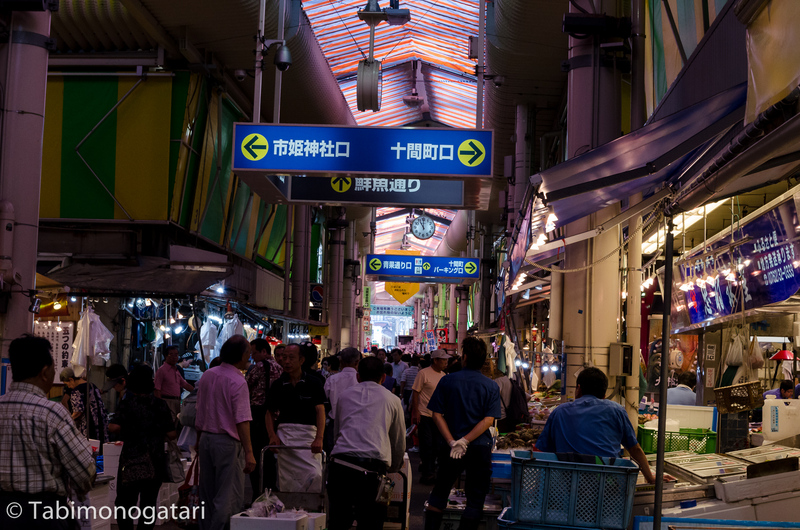 When I went back to the station I felt like returned to the usual busy Japanese everyday. 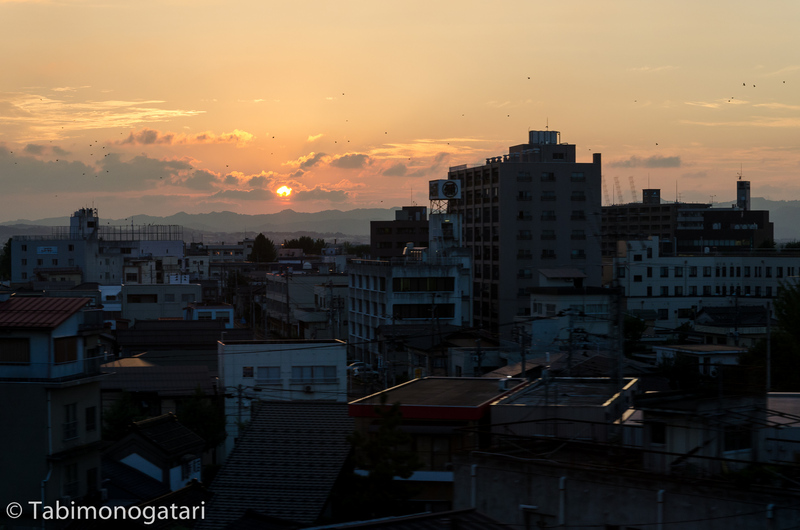 My time in Kanazawa was short, but I enjoyed it very much. 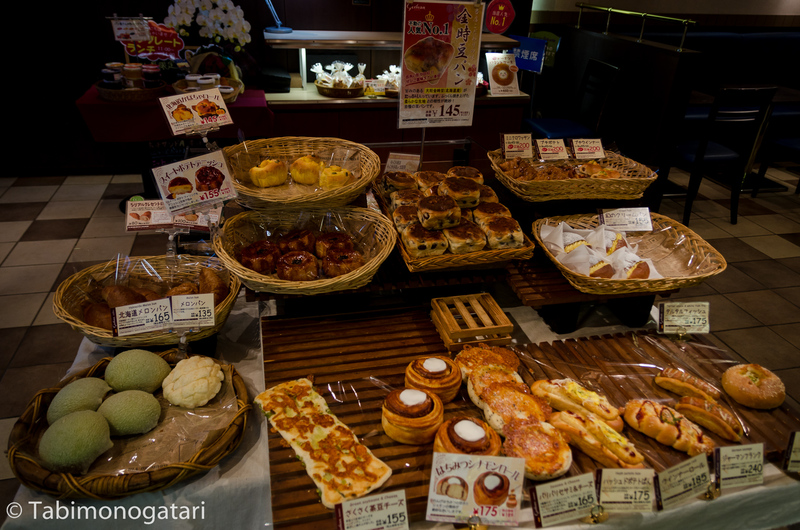 Kanazawa station also has many shops to spend time in, so I used the last dozen minutes for strolling around. Kanazawa (Kana uses the Kanji for gold) is famous for its paper-thin gold foil manufacturing it seems, at least within Japan. 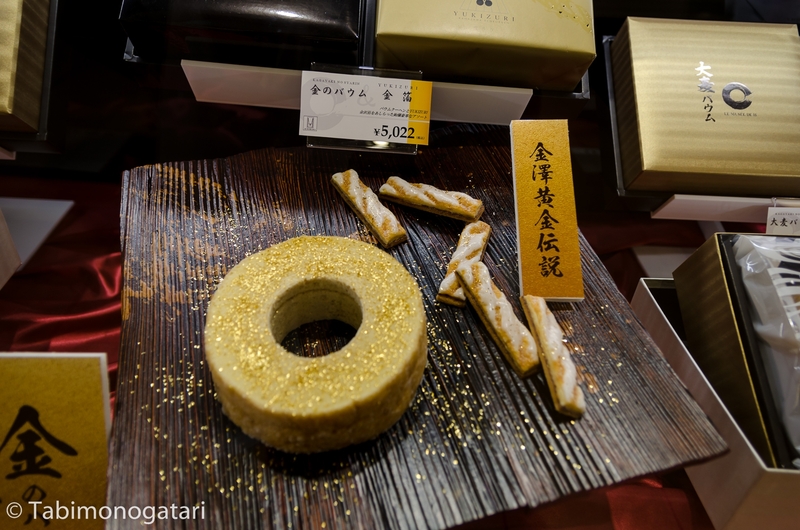 A few shops sold sweets with gold particles on top. As a chemist I would not recommend to eat it, but it still makes a unique souvenir. Include paragraph about the relativistic effect and its influence on band structures of gold metal. Next year a new Shinkansen track will be opened, connecting Kanazawa to the high-speed network. Like in Hakodate many poster and signs announce the opening. In my case, the next destination was Niigata, further North the West coast of Japan. An old friend of mine is living there now and I decided to visit him for a night. The limited express ran along the coast line, a nice view which cannot be enjoyed using Shinkansen since most of the tracks are in tunnels. A short scti0n was on non-JR tracks, meaning I had to pay a supplementary fee using the Japan Rail Pass. When I checked where I was when I was supposed to change trains I found out that I far off the coast in the middle of nowhere. Luckily the station was served by Shinkansen so I reached Niigata soon after. After taking another local train which was very crowded because of rush hour I arrived in the town my friend lived in.